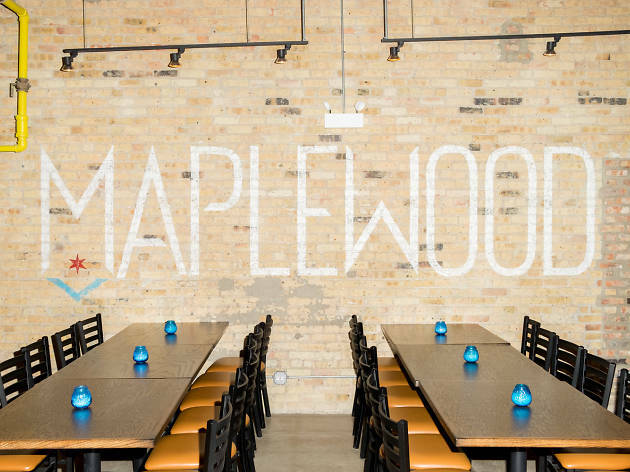 Located in a corner of the brewery's Logan Square production facility, Maplewood's taproom is clearly inspired by the corner bars that are scattered through Chicago's neighborhoods. The unassuming lounge is stocked with candlelit tables, a bar with views of the brewery's equipment and a fridge where you can grab bottles and cans to take home. 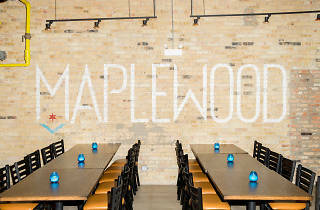 Aside from lots of beer, the menu includes cocktails (made with Maplewood's own spirits) and a selection of food, such as corn dogs, poutine and a cheeseburger.